The ocean can be an incredible place. After all, it holds some of the most unusual creatures on planet Earth. 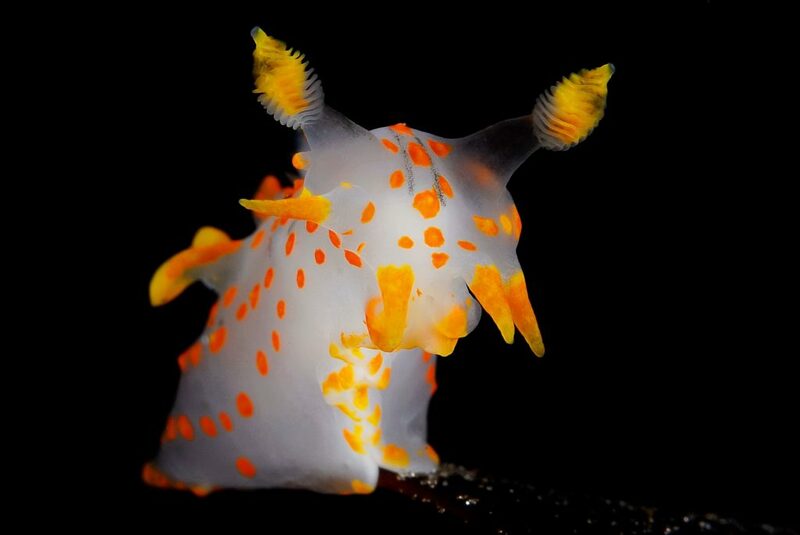 Thankfully, a photography competition is about to show us the real alien world that swims among us. Believe it or not, but the Earth’s surface is made up of around 70% water and is thought to provide half of all the air we breathe. The oceans also offer approximately 90% of the living space on the planet. Although there has been lots of research into the shallower areas around the land, there is still so much that is unknown about the rest of the ocean – especially what lies at the bottom. One of the many creatures that featured in the 2018 Ocean Art Contest was the Polycera quadrilineata. This creature is usually translucent, but amazingly the photo in second place gave us an up close and personal look at this marine life covered in orange spots. The photographer says he was able to capture the image in an old ferry dock around Norway when the critter reared up for the snap. Another of the creatures that won a top spot was the squid, Ancistrocheirus. Apparently, the diver who took the photo was out on a night dive, looking to hone in his skills, when he spotted the squid. 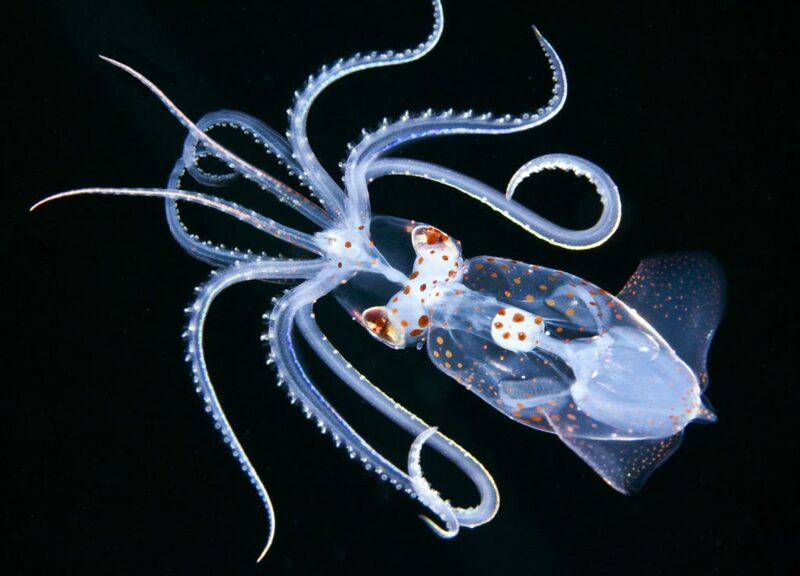 Although they are often tough to locate, this sea creature was willing to spread its tentacles for a truly stunning photo. The diver says he followed the squid 90-foot deep into the ocean before he was forced to watch him go. There are many other hidden beasts that appeared in the photo competition, including a croc who tried to attack the two divers as soon as they locked eyes, and four white tip reef sharks all laying together on a rock. 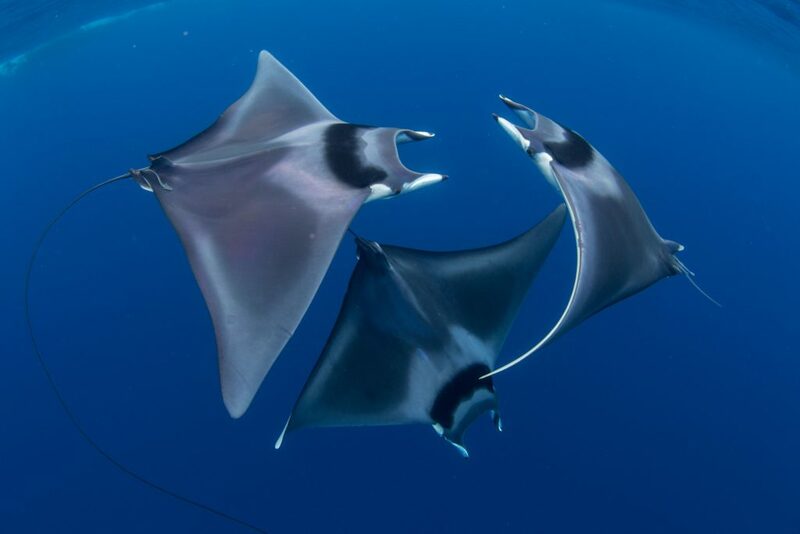 To top it off, there were even examples of rays courting one another and forming a blanket in the sea. It seems as though there is no end to the incredible wonders that live below. The ocean can seem like a scary place, but it looks as though there is plenty waiting to be discovered under the surface – even if they do show us the alien world that we never knew existed.